If you’ve ever classified on Penguin Watch you’ll know that penguin nesting sites can contain huge numbers of penguins – often more than anyone could count. That’s why we need your help to count how many penguins are in our photos. You might think given the size of these penguin colonies that we’d already know about all of them. 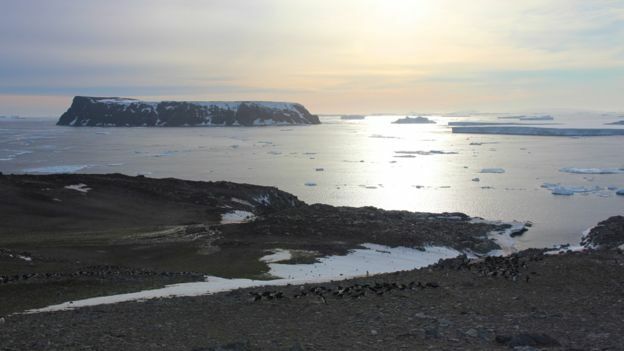 Well now a team of researchers, including Penguin Watch’s own Tom Hart, have discovered a colony of 1.5 million Adélie penguins in the Danger Islands! Who knew penguins were so good at hiding? Congratulations to Tom and the rest of the research team on their discovery! Penguins’ habitats are under serious threat from climate change, but it’s reassuring to hear that there are more of our naturally-besuited friends than we thought.